**Right Hand** Do you need to operate both brakes with one hand? Do you prefer to have no brake-steer? 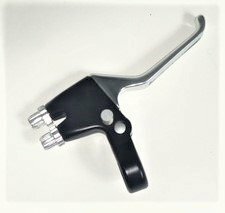 If you answered yes to either question, order this dual control brake lever, which is a single lever that actuates both brakes.